This machine embroidery design is part of our Applique collection. It uses the Applique technique. It will fit the Commercial hoop (8" x 12"). 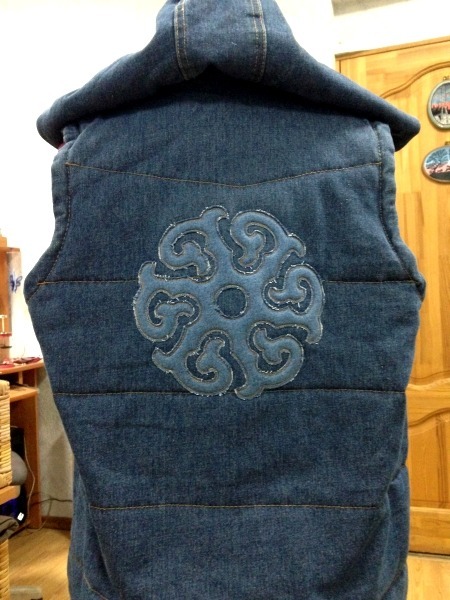 Sun Mandala on a denim vest. You can read about this project idea on the page with instructions. 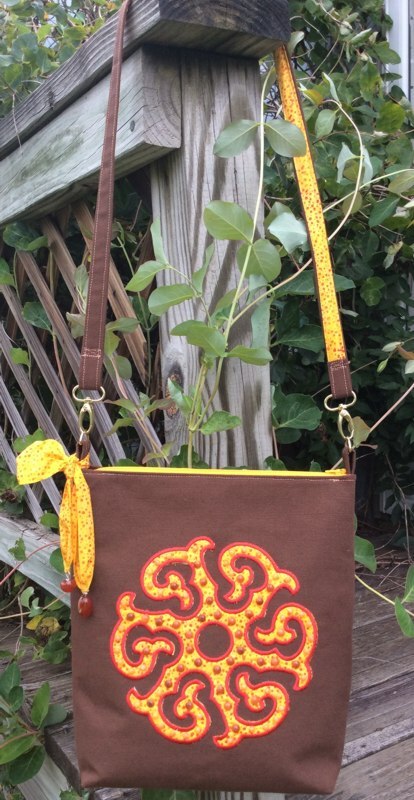 We also used the design on a shoulder bag. You can read about how to sew the bag on the project page.